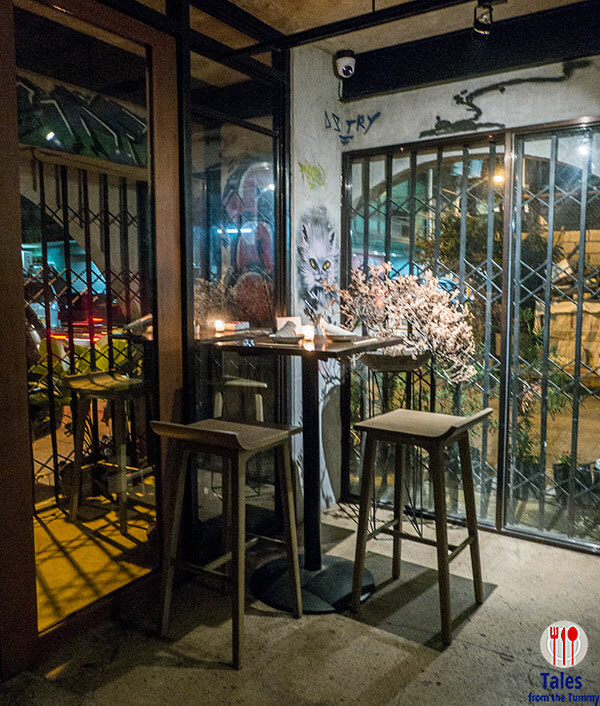 YOI Sake Bar and Restaurant is located in the hip and burgeoning Poblacion area. They serve a fusion of Japanese and Scandinavian cuisine, unique but most of the flavors are familiar Japanese ones. I suggest taking a Grab as parking is virtually non existent. 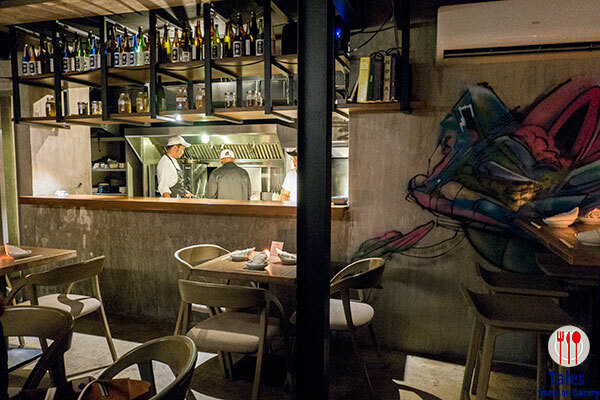 The interiors are a mix of industrial and eclectic and fits the vibe of the place as well as the cooking they do at YOI. Their menu is mostly hot and cold small plate starters and a few mains finished off with dessert. Oysters (P285). 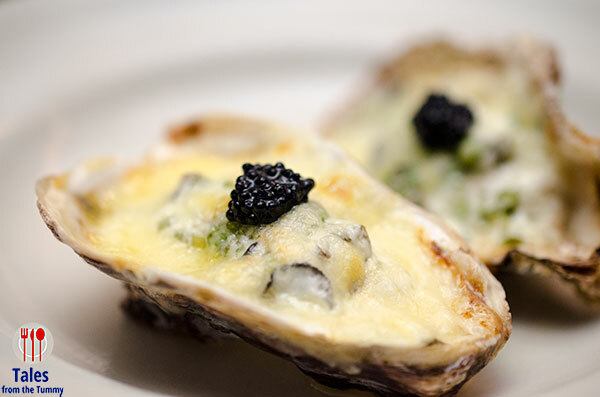 Baked oysters with mushroom cream, harvati cheese and topped with caviar. Tako (P335). Sliced octopus in red paste topped with harvati cheese and torched. Tender, sliced octopus with earthy mushrooms given a slight kick with light addition of chili oil. Egg on Egg on Egg (P195). 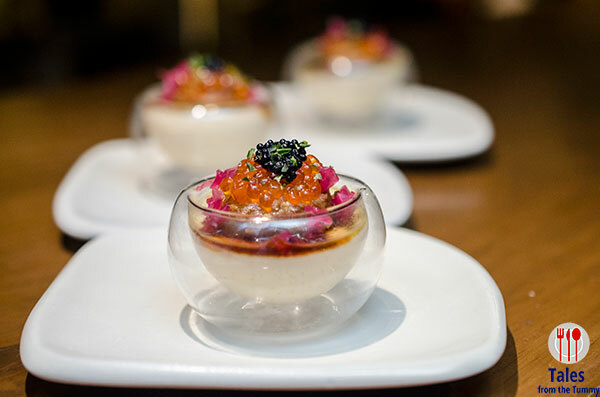 A steamed egg custard reminiscent of chawanmushi topped with ikura (salmon roe), caviar and bihod (tuna roe). Remove the bihod whose taste I’m not fond of and I would have enjoyed this pretty dish. Sourdough (P160). 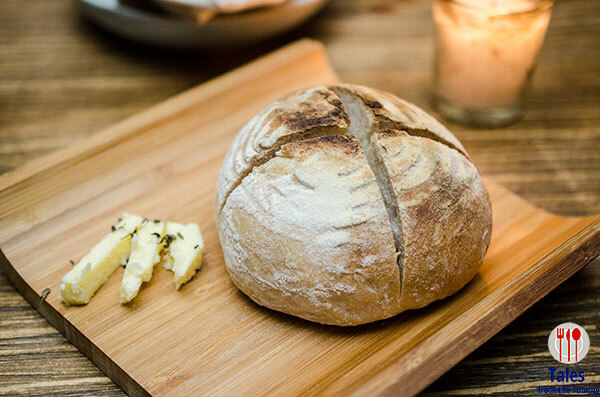 Be sure not to miss ordering this light and tasty baked in house sourdough bread. The highlight of the dish is the freshly churned butter they serve on the side, it’s so freaking good you’ll be asking for more. Fish and Liver (P360). 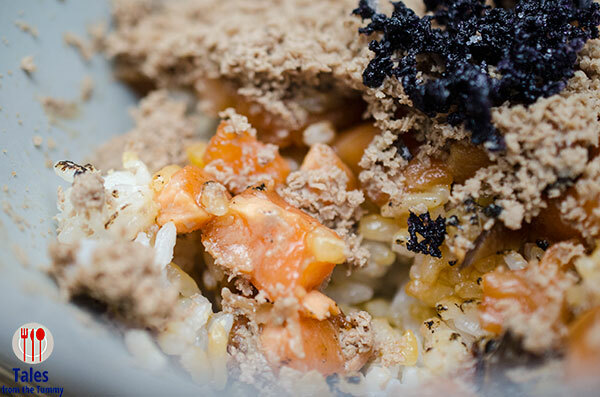 At first glance it seemed like a bowl of dirt but look closely and you’ll see bits of orange peeking out. A bed of sushi rice topped with fresh salmon cubes, pickled shiitake mushrooms and smothered in shredded liver and topped with crunchy purple cabbage water that looked somewhat like coral. I suggest mixing everything as the liver is what ties everything together giving it creaminess. One of my favorites of the meal. Shrimp (P290). 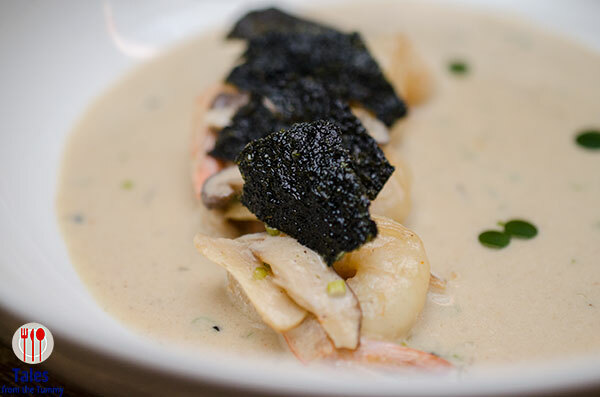 Poached shrimps in coconut wasabi bisque. 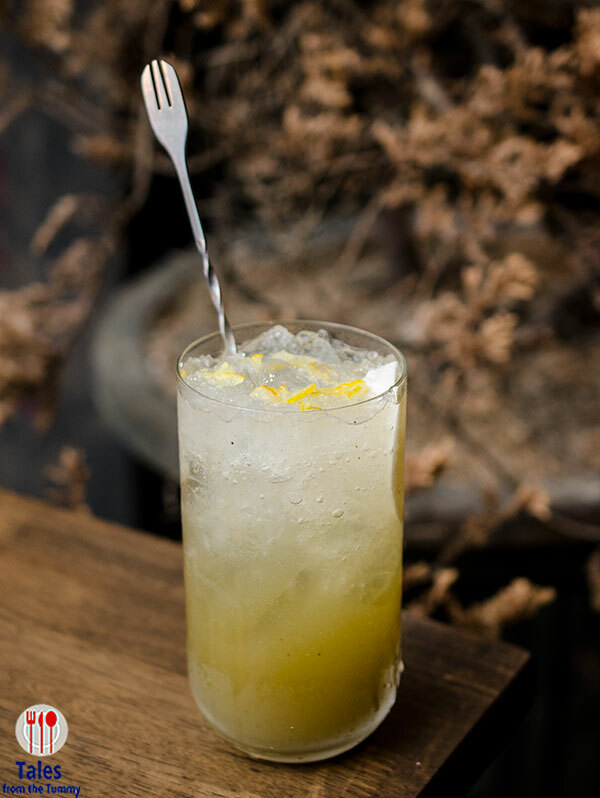 They have wonderful drinks like their good selection of hi-balls as well as the most extensive sake collection in the country curated by Kristoffer Tadeo Chua. Kristoffer is the only certified sake sommelier in the country, he not only took a course but immersed himself into the process for weeks in Japan. If you want a bit more bang for your buck then you should try their Unli Sake for P700 every Tuesday and Wednesday which features Meijo Junmai, Nihonsakari Seishu, Ozeki Yamada Nishiki and Ozeki Shitanba. 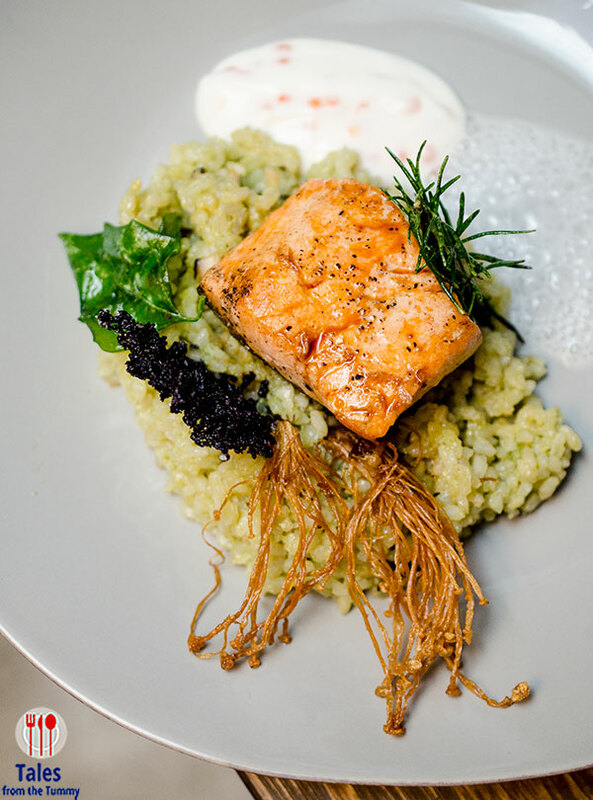 Salmon (P595). Pan grilled salmon fillet on a bed of spinach uni rice with ikura yogurt sauce on the side. 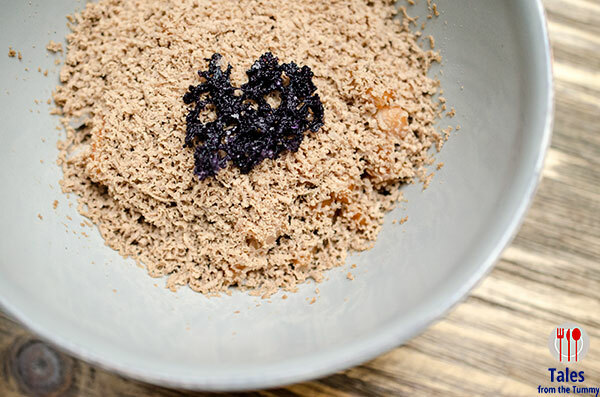 There’s deep fried enoki and the crunchy purple cabbage water for contrasting texture. 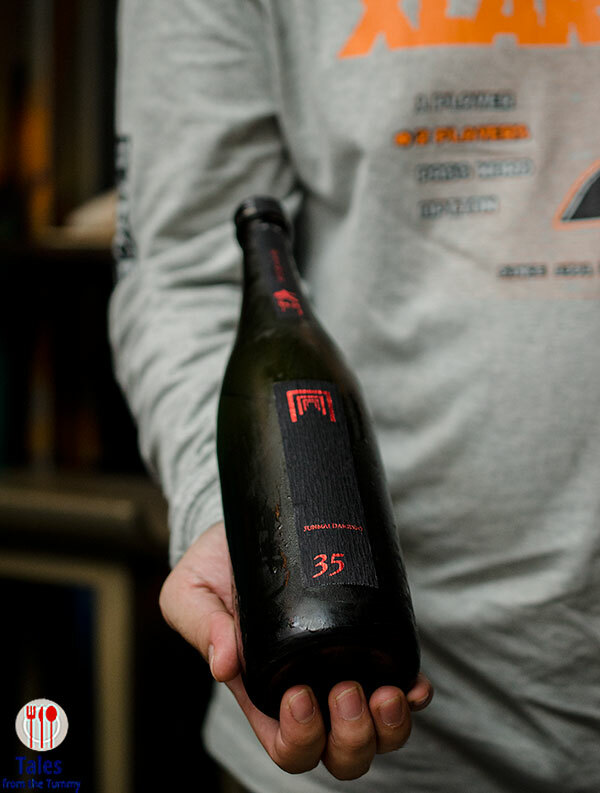 Kladkakka (P390). A dessert with a name straight out of IKEA that I reckon you won’t be able to pronounce properly sober let alone after a few shots of sake. 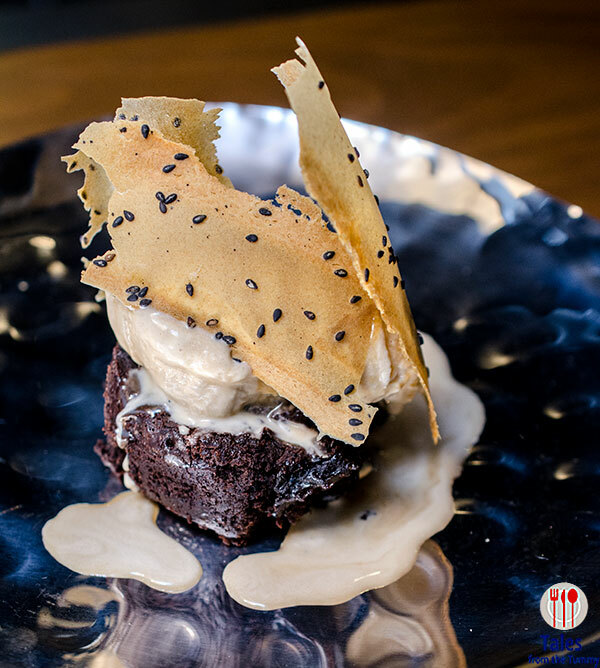 A dark fudge cake topped with stout ice cream and stout beer sauce and topped with black sesame crisps. 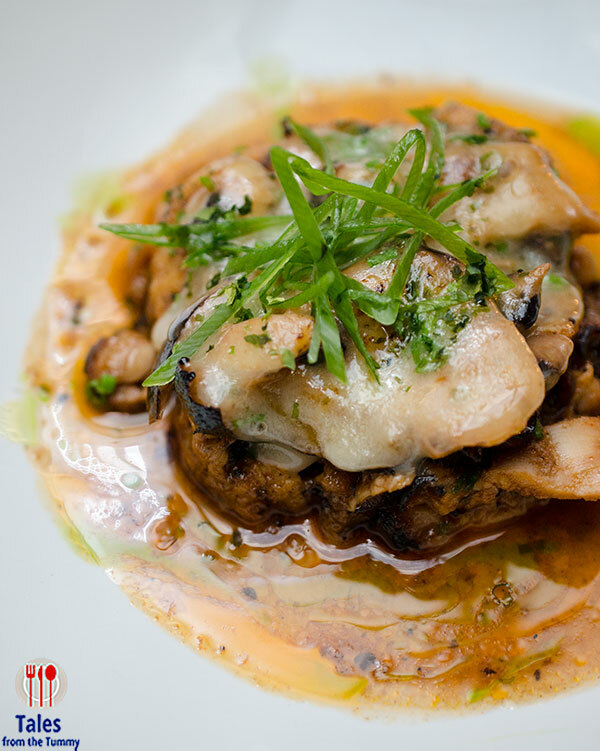 The food at YOI is extremely enjoyable with flavors that are inventive yet somewhat familiar. One of the best meals I had last year and I recommend people check it out despite the severe lack of parking.